How Many Affiliate Links Should You Have In A Post? This question was recently addressed in the Pajama Affiliates Facebook group by Robin Cockrell. Her view (well it was more a command ;)) was that you want to be looking for buyers not people joining a list or joining up to your social media pages if you blogging for profit using the method as taught in their courses. The important metric is conversions not followers. Followers are nice but not the goal for Amazon affiliate sites. Having this mindset towards your blog can change what you write about and possibly how you write too. You want to be writing about topics that buyers are interested in not those just looking for information or entertainment. It is also important to be writing for your visitors to give them the quality information they are looking for. When building an Amazon review site or other type of affiliate site you are looking for people that are interested in buying something or looking for a solution to a pressing problem. They probably don’t need to come back to your site again whether they get what they want or not once they’ve finished their research and bought the product. This is why in most cases people just aren’t interested in following this type of blog. You can expand the blog later if you want to have more influence in your niche. What Do Other Blogs Do? Of the 4 DCRainmaker.com provides detailed reviews of individual products as well as comparisons and more general information. He focuses on products and posts that relate to a particular niche. The site has expanded and improved especially as you look at the earlier posts – it’s now developed into an excellent example of one way to develop a blog into a real authority blog. The other 3 are general sites and write about products from various niches. That is not what I’m doing as I stick to a niche and expand in to related niches. I don’t think they’re model works particularly well for the model I’m following. But I do check these sites to see what they are doing from time to time. With that out said it seems to me these sites aren’t that interested in chasing followers as their metric for successor income (except maybe DCRainmaker which is more than a review site and I think that came after he’s built his site out). The others don’t have huge followers. They do have some and only 2 have email lists. I just signed up to see what they’re like – but reviews.com said they had only just started their email list – so it seems it wasn’t necessary for their success. It will be informative to see how they use it for marketing their business. Both Extreme Review and Pajama Affiliate courses (my favorite Amazon affiliate courses) do use social media to promote posts which can help with traffic and rankings. But the goal is to get visitors who are interested in the products rather than joining your social media which is very much a secondary consideration. As you can tell, I’m with Robin on this one that buyers are where it’s at for a successful Amazon review site. Followers are nice but if they don’t click the links and buy it makes it very difficult to make a living from blogging. Which is one of the main reasons to start an Amazon Affiliate blog, isn’t it? 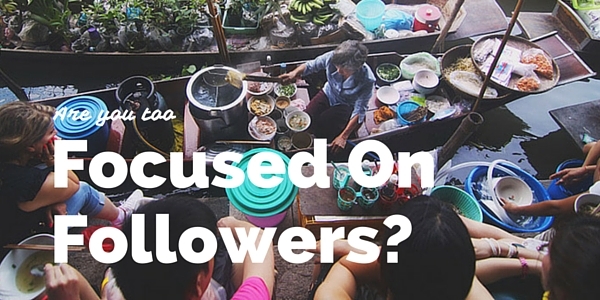 What do you think – which is more important followers or buyers? Having said all that, don’t forget to sign up below for tips, information and more below!